This July, a PGA Tour Tournament will be played in Kentucky for the first time in decades. The Barbasol Championship will take place July 16-22 at the Champions Golf Course in Nicholasville, Kentucky. It will be the first PGA Tour Tournament in Kentucky since the Kentucky Derby Open was played in Louisville from 1957-1959. The tournament takes place the same weekend as the British Open, and will be broadcast live on the Golf Channel. This is a really big deal for Kentucky! The PGA is a very charitable organization. You may be surprised to know that each year the PGA contributes more to charity than the NBA, NFL, NHL and Major League Baseball COMBINED! Each tournament makes an impact to local nonprofit causes in the cities and states where they play. Beginning in June, donors can go online to www.birdiesforthebluegrass.com/oldhamhumane and pledge to give an amount to HSOC for every birdie a professional golfer makes in the tournament. A pledge for 1 cent will be a $20 pledge if 2,000 birdies are made. Think of it like a walk-a-thon, where donors pledge support for every lap or mile someone walks. Instead of miles or laps, it’s birdies made by professional golfers in the Barbasol Championship. The number of birdies made in a PGA event varies by tournament, but the estimate at this point is that there will be around 2,000 birdies made in the Barbasol Championship. When donors make their pledge, they can also guess the number of birdies that will be made in the tournament. Donors who guess the exact amount of birdies will be eligible to win either the grand prize of a 2-year lease of a new Lexus ES or one of four $200 Bluegrass Hospitality Group gift cards. Save the Date! The Humane Society of Oldham County is participating in #GivingTuesday on November 28, a day of giving across the great state of Kentucky and globally! Open your heart and make a donation during this season of good will. 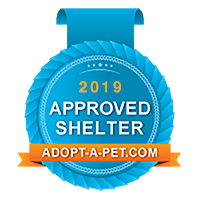 You will help save the life of a homeless animal who has nowhere else to go or has ended up in an overcrowded shelter with little chance of making it out alive. These are the animals we save with your help. Please give. The Humane Society of Oldham County will host it's 3rd annual Paws in the Park on October 7th, 11am - 3pm at the North Oldham Lions Club's Belknap Community Park. ​This will be a pledge walk with lots of animal entertainment! Join us September 14th to make a difference in the lives of homeless pets in our area! ​One day is all it takes to save a life! Come out to the beautiful venue of the City Place in downtown Lagrange to see local celebrities walk down the catwalk escorted by an adorable dog! They will be showing fashions from Absolutely Fabulous and Sam Meyers. The fashion show will be hosted by Dawne Gee of WAVE 3. Browse the booths offering jewelry, art, health and beauty items and more. Grab some lunch at Rollin Ruby's or Fresh Out of the Box Food Trucks! Santa Paws is Coming to Town!!! Come join us December 3rd and 4th, 11 to 5pm at our Cherry House location, 2417 S.Hwy 53 in Lagrange, to get your pets photo taken with Santa! Bring the kids or the whole family for a family photo you will cherish forever. We have professional photographers, a terrific Santa and a private setting so your pet can be comfortable to make it an easy and fun. The Humane Society of Oldham County has added an online auction to our Santa Paws fundraiser to benefit the homeless and abused pets of Oldham and surrounding counties. In the spirit of the season, we hope that you will give with your heart and hopefully win something that will bring you joy!